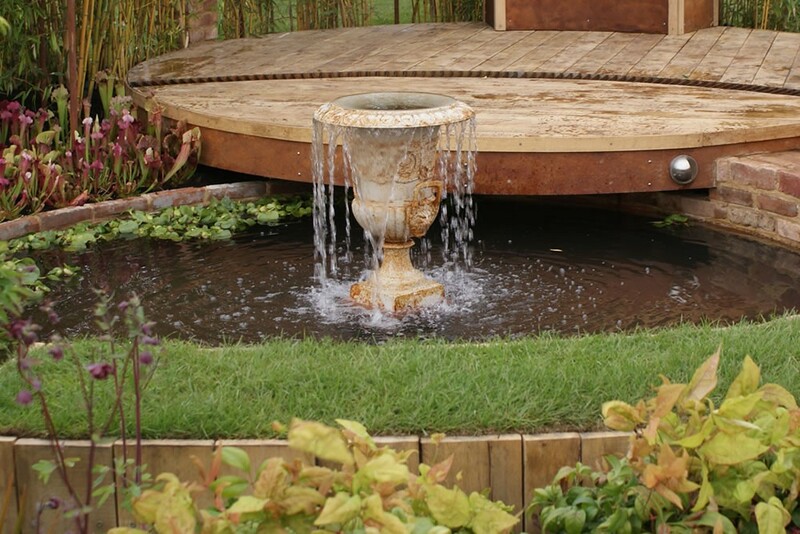 This show garden presents an enclosed, shady retreat from the rest of a garden. 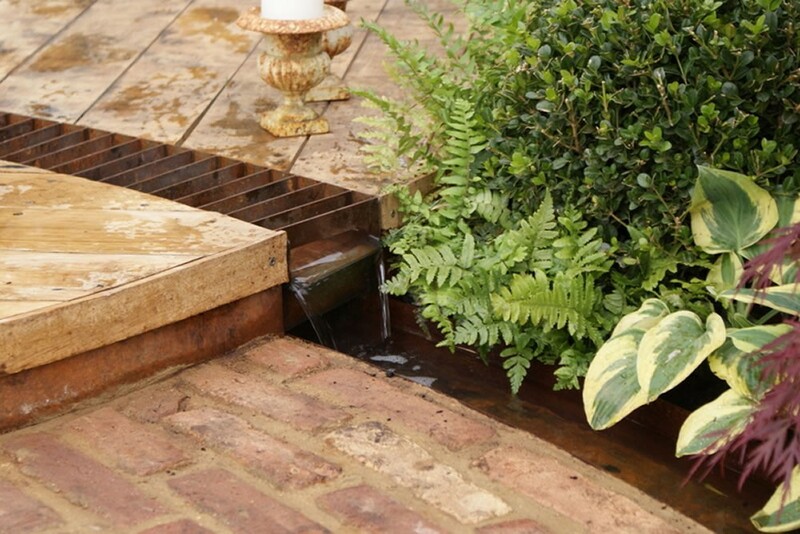 It is designed on a Victorian theme, but with a contemporary feel, creating a fresh, clean look showing that modern gardens can fit well with period properties. A raised deck shaded by an ivy clad pergola is used for relaxing and entertaining, and is surrounded by a bamboo hedge which imparts a sense of enclosure and shade. Evergreen ground cover plants have been used to reduce maintenance and specimen trees at the back create height and reinforce the shade. 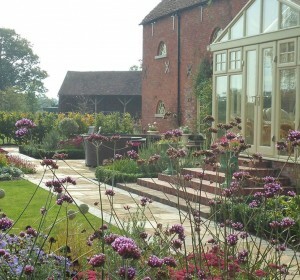 The small units of reclaimed red brick allow the curved paths and steps to flow neatly along side a rusted steel rill. 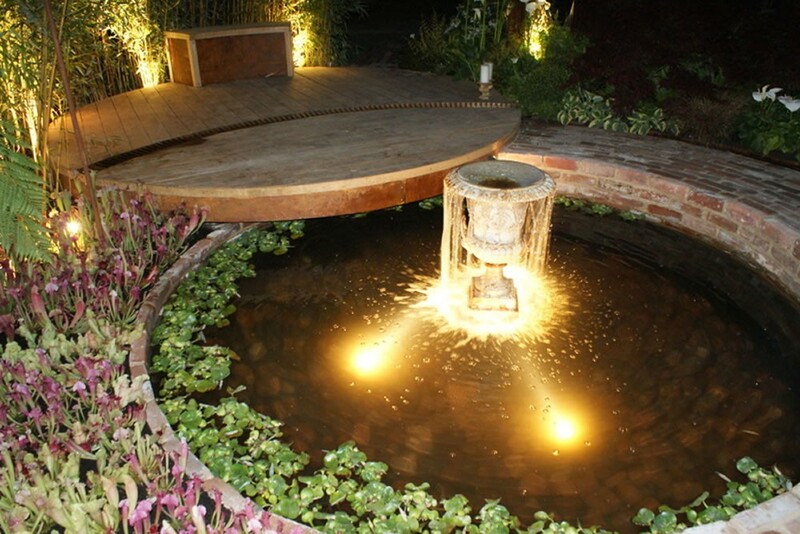 Cast iron and steel are used to give height in the pergola and also features through the garden. 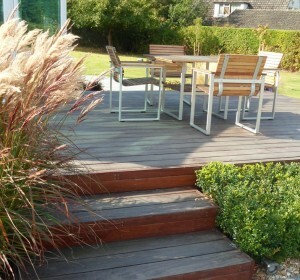 Oak decking and a timber seat finish off this simple palette of materials. 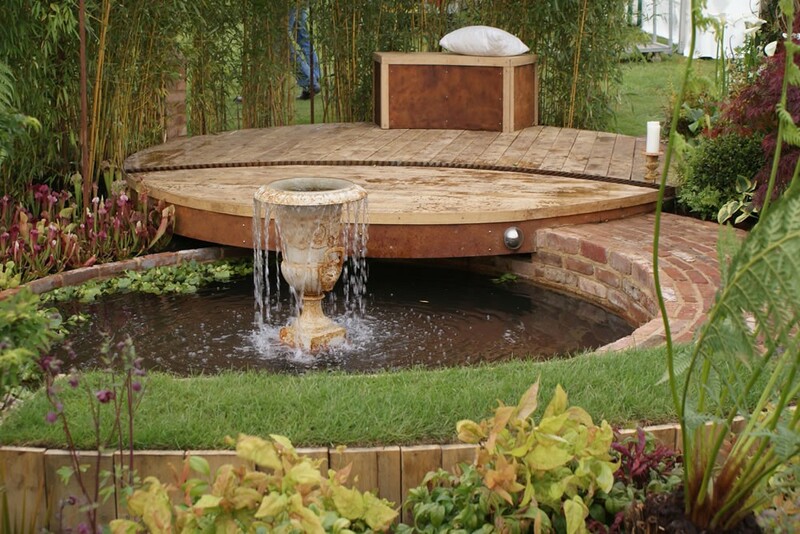 Phyllostachys aureosulcata – excellent evergreen screen is used around the tall steel pergola. Hardy sarracenia are the stars of the planting by the pool shadowed by a tree fern. The different foliage textures of the hostas, carex, heucheras and ferns will look good throughout the spring and summer, with specimen acers adding height.